Don’t you just love format wars? Beta vs. VHS, PC vs. Mac and now Blu-Ray vs. HD DVD. I was one of the unfortunate souls who thought HD DVD would actually win the war. After all in November Toshiba drastically lowered the prices of their players to make the HD upgrade actually affordable to regular people. Having been teased with watching a few High Definition films on channels like HDNet, I just couldn’t wait for the war to be over. So I gave in and got one of those sub $200 Toshiba HD DVD players at Christmas. The HD bliss lasted all of a week, when in early January Warner Bros announced they were exclusively moving to Blu-Ray. As background, up until then it was almost 50-50 market share in North America with Paramount/Dreamworks and Universal exclusively HD DVD, Disney, Fox, Sony and Lionsgate exclusively Blu-Ray. Warners, who has the largest catalogue of titles, was selling both formats. 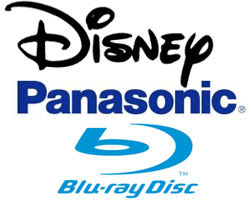 Once Warners announced their Blu-Ray switch, instantly HD DVD became the dinosaur. Too bad for me, and many others. So what do I now? Switch to Blu-Ray? Craigslist already has dozens of low priced HD-DVD players on the market. At most I can get is $150 or so. The answer is yes, cut my losses and make the switch. But when? With HD-DVD on the run and post-Christmas (Boxing Day in Canada) television purchases made, Blu-Ray is now out in full force selling the brand. But there couldn’t be an easier sell. High Definition is like another world of movie watching. Remember when Dorothy opened the front door of her house and moved from the B&W world of Kansas to the technicolor world of Oz? The difference is that remarkable. Many people already have HD televisions and have the Discovery Channel as their default channel, but many don’t realize the glorious experience of watching a feature film in High Definition. I was one of those cine-nerds who actually had a laserdisc collection – and from 1992-1998 I marveled at the remarkable upgrade from VHS. The jump to DVD wasn’t much of a leap from Laserdisc, but the jump to High Definition is otherworldly. I will watch any film in high definition – especially older titles, like “The Road Warrior” which hasn’t looked this good since, well…its original negative was cut. In order to get the regular public (not cinephiles like me) to jump on board Disney and Panasonic has teamed up for a mall tour around the U.S. and Canada. Their first stop was Yorkdale Mall in Toronto. It was an impressive set up – a 65 inch Plasma screen, the latest Panasonic Blu Ray players, Sony Playstations etc. Disney is the best ambassador to sell this product because their Pixar films are unbelievably pristine in high definition. The sharp resolution and bold colours are irresistible – especially for impressionable kids strolling by or man-child adults who look forward to the weekly Best Buy fliers. Over the course of the year Blu-Ray should have no problem growing the market and make standard definition DVD a relic like VHS. The good thing is all Blu-Ray players upconvert your old DVDs, so you don’t have to upgrade your entire collection – yet. But of course, it’s tough to resist buying, say, “2001: A Space Odyssey” in High Definition even though you have it on regular DVD. Some of the newer features which will become more popular include interactive games. Disney’s “Cars” features a game you can play on screen while you’re watching the movie, and according to the Blu-Ray spokesperson, a feature called BD-Live – a more advanced interactive internet component of Blu-Ray technology. For example, if you’re watching a film, and you like the actors shoes you could theoretically buy those shoes directly via the internet and user interface of Blu-Ray. Amazing, but scary and shocking as well. This could take product placement to a whole new level. Let’s just hope revenues from such a venture will trickle down quickly to make these machines more affordable now. Currently at Best Buy, the cheapest player is $399. These are cinephiles prices. Message to manufacturers – take a temporary hit and cut the price equal to under $300 and give us all the ability to experience the wonderful Blu-Ray.